Saturday, October 22nd 2017 marked day one of competition for The American School of Bangkok’s first ever national ‘ASB English Challenge’. Eighteen Thai public school students, accompanied by their eighteen English teachers, traveled to Bangkok from all over Thailand to compete for one full-scholarship to The American School of Bangkok (ASB), until graduation. 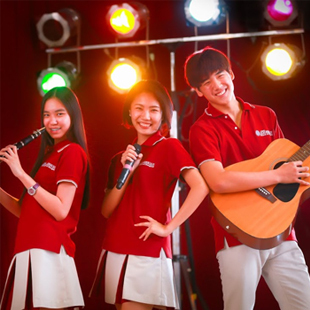 These students had already competed with millions of other public school students through an English competition held by The Thai Ministry of Education, under the English Language Institute. From there only one winner was chosen from each of the eighteen educational districts of Thailand to go on and compete in the ASB English Challenge. Over the first two days, student competitors worked with ASB’s top literacy and language coaches, mindfulness experts, and longstanding teachers to gage their level of proficiency and capacity for higher learning if selected to attend one of Thailand’s top international schools. All students in attendance took this time to communicate their tremendous aspirations of studying at ASB, and to further their English language abilities. A consideration throughout the competition was that these students are all in large part self-taught English speakers. As they currently attend Thai public schools, all of their subjects are taught in Thai and all of their classmates speak Thai only. This is in sharp contrast to ASB’s curriculum where all classes, excluding foreign language electives, are taught exclusively in English and where students are also encouraged to speak English outside of the classroom, as the student body is primarily made up of foreign and mixed background students. The ASB English Challenge competitors however, currently speak English only in their designated English period, with their one and only English teacher. As a result, these students have all taken the initiative to study independently. They revealed to competition judges that much of their English was learned from YouTube and other online resources. This inventiveness and creativity are just some of the many ways they distinguished themselves from the many other students competing for the scholarship. Based on student performance over this competition period, students were then narrowed down from eighteen to nine. These nine competitors once again differentiated themselves from the rest, and used their ingenuity in writing, leadership, language, mindfulness, and creativity to further grab the attention of challenge judges. Over the next week, these students took classes at both ASB Green Valley and Sukhumvit campuses in subjects such as creative thinking, writing, art, drama, pronunciation, mindfulness, and were also trained in public speaking. As the nine student competitors were immersed in life at ASB, their English teachers attended teaching workshops led by ASB staff. They learned how to improve their instruction through implementing the Socratic Seminar, Mindfulness, behavior management techniques, and differentiation into their classrooms. During this time, teachers were inspired with the concept of encouraging curiosity as a driving force of learning. ASB focused the visiting teacher’s attention on awakening their students’ curiosity, so they may gain greater personal understanding. With this change in education, comes a change in the types of learners being produced. ASB is proud to be a ‘School of Leaders’, and it has become this as a result of international teaching techniques introduced by their many certified teachers from around the world. The nine finalists have already shown strong leadership skills by displaying positive attitudes with high emotional intelligence and by pushing towards achievement in spite of overwhelming adversity. For one intense week of classroom exposure, student competitors as well as their teachers were able to experience the benefits of an international school education first hand and now have a better understanding of this extraordinary learning environment. The final day of competition and the results of the scholarship winner will be held on March 6th, 2017. 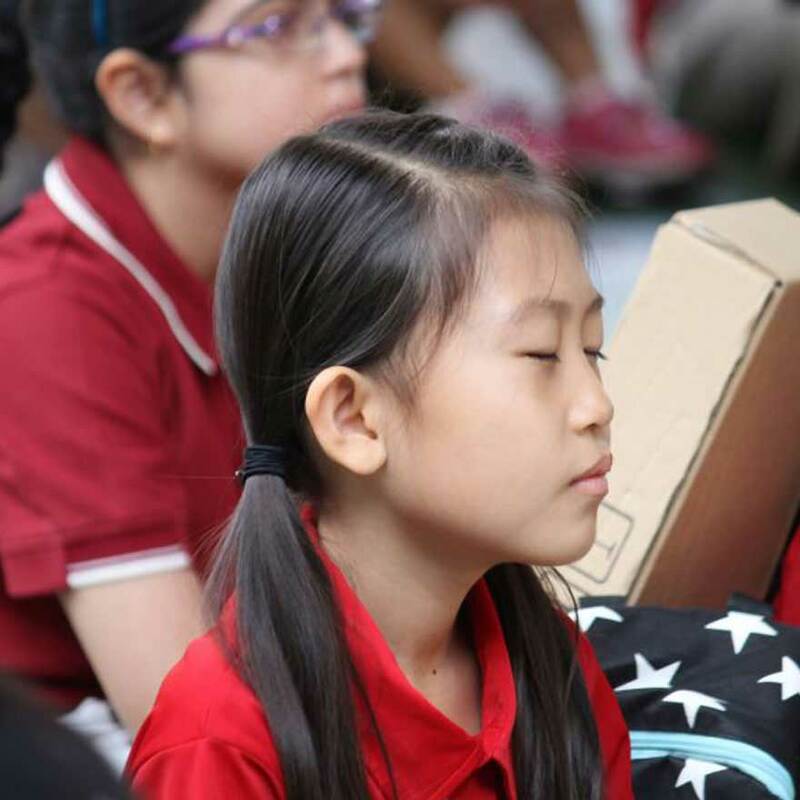 The outcome of the competition will drastically change the life for one incredible student, but The American School of Bangkok is very gratified in contributing to the lives of all the students and teachers who have participated in the competition. These talented, motivated, and inspiring students and teachers have already begun to act as a motivating force for others in Thailand to reach their highest level of potential, and to always seek greater understanding and personal growth.